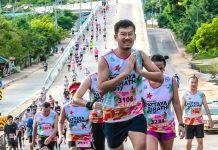 PCCW Global Charity Run Proceeds Grant Wishes To Critically Ill Children | JustRunLah! 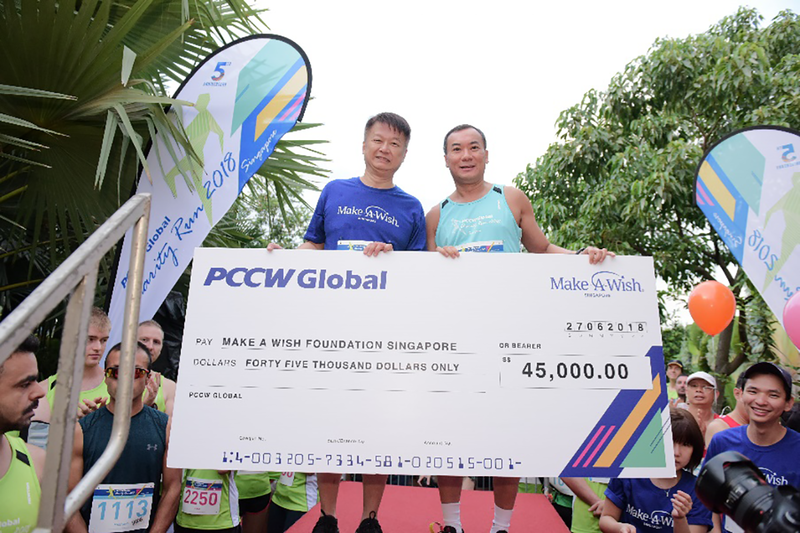 All proceeds raised from the more than 800 runners and corporate sponsors who participated in today’s PCCW Global Charity Run 2018 at Silver Leaf, Gardens by the Bay, have been donated to Make- A-Wish Singapore, a charitable foundation focused on granting the wishes of children with life-threatening medical conditions. A full field of runners participated in this year’s unique annual 5km weekday morning run for charity, which is sponsored each year by PCCW Global, one of the world’s leading telecommunications carriers and the international operating division of HKT, Hong Kong’s premier telecommunications service provider. The PCCW Global Charity Run in Singapore is a premier event on PCCW Global’s annual Corporate Social Responsibility programme. All images courtesy of PCCW Global. All product names, logos, and brands are property of their respective owners. All company, product and service names used in this website are for identification purposes only. Use of these names, logos, and brands does not imply endorsement.